This week's blogger is Jean-Paul Séculaire who has been documenting London's nightlife, cafes, record shops, bars and more since 2001, including a monthly calendar of club nights. His site, The London Dossier, is "an unapologetically personal guide to all that is cool in the UK's capital city", a great snapshot of London socialising and full of previews and tips. Hot tips from the hipster's guide to London. 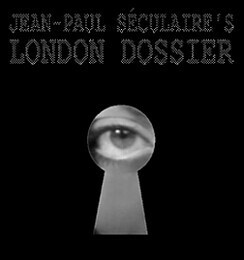 As an extension to my main London Dossier listings website. Adding a news blog seemed a simple and useful way to bring more information about special events to my readers. All the cool stuff going on. Especially in terms of nightlife, gigs and festivals covering vintage black music, cinema and modern art. What are your top five London moments to date? In chronological order I would probably say, my last Right On! club night - I'm still looking for the perfect new venue - any suggestions welcome! The first time I saw Prince Buster The King of Ska live in 2007 - Prince Buster has not been too well recently and we are all wishing him a return to good health. The first time I saw John Holt live in 2007, my 30th birthday bash Home Cookin' extravaganza and the after party. Finally, my first time on stage at a burlesque show - Corsets & Courgettes at The London Burlesque Festival. What's the best and worst thing about the nightlife in London? What would you change to improve it? Worst things that spring to mind are disrespectful people - people causing a nuisance on the dancefloor are a particular pet peeve, and the ridiculously early closing times of venues - 1am-3am. The best thing about nightlife in London must be the diversity; both in terms of music, dance and the people. Almost every style of music and dance is catered for, and you can meet almost anyone at night in London. The London scene would be better if there were more venues interested in music, dance, culture and the arts and less interested in purely making money by selling as much drink as possible. Councils should also grant later opening hours for clubs and give more support to specialist music nights. I've had many perfect days and nights in London. The days generally involve shopping for clothes, records and Italian food and the nights generally involve good company, good music, dancing, staying awake all night and coffee at Bar Italia. Would you feel less connected to London, or have missed out on things without your blog? I don't think so, but writing the London Dossier does help keep me on my toes and inspires me to make an extra effort to keep my finger on the pulse. Even though I can't be everywhere at once, I feel I want to at least know everything cool that's happening and to share that with my readers. Though I read a lot of websites and blogs, I don't actually read many London-specific blogs. One I really love though is Going Underground, and other websites I read include The Chap and Mod Culture. And for some general London chat... Where do you live and why do you love it? Walthamstow. It has great record shops, some good bars and clubs and good transport links into Central London - when they're not closed for engineering works! Plus it's right next to Epping Forest - the perfect place to escape from the hustle and bustle of city life. I also love the fact it's one of the most multicultural parts of London. I would probably have to say Soho for the coffee, food, music, people, shops, bars, nightlife. What do you know about London noone else does? A tricky question, especially as I share most of my secrets via The London Dossier! Well I can advise you that Princi is the only cafe I've found that will make a caffe shekerato, though you have to ask nicely as it's not on the menu. I also know exactly what's in the time capsule buried beneath the site of the old London Fever Hospital. I love getting comments and feedback from my readers; you can email me at info@londondossier.com to share your thoughts. I also work as a freelance graphic designer, web developer and DJ, so feel free to get in touch!